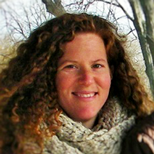 Kaitlin Stack Whitney is an ecologist based the Rochester Institute of Technology, where she teaches conservation biology and environmental policy. Her research focuses on beneficial insect conservation, using ecoinformatics, field observations and science studies. Previously, she was a staff scientist for the U.S. Environmental Protection Agency in the Office of Pesticide Programs and Office of International & Tribal Affairs.